Performance of an artificial olfaction system depends on the success and speed of its classification according to the chosen problem. In this chapter, the feature extraction part just before the classification part is exploited to reach a better performance for artificial olfaction systems, and cellular nonlinear network-based feature extraction models are presented. 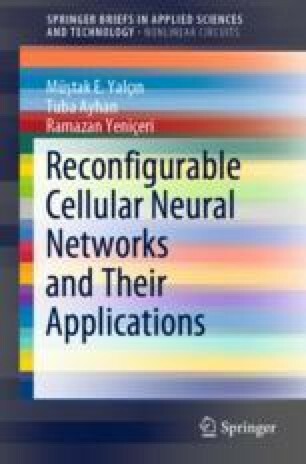 For achieving the best performance for different problems on the same network, a reconfigurable cellular neural network is introduced as a feature extractor.